From Fox's Obama impersonator to Time's apocalypse ad cover to the fake Syrian blogger, it's hard not to feel manipulated these days. John Lennon sang, "Gimme Some Truth." We could use some these days. Forty years ago this month, John Lennon began recording his "Imagine" album, which, in addition to the classic Utopian title plea for peace, includes a lesser-known, decidedly more cynical track demanding another elusive quantity: truth. "Gimme Some Truth,” an under-appreciated gem, has been playing in our heads lately amid some recent examples of media manipulations that range from the mildly annoying to the greatly disturbing. We're still not sure exactly where on the outrage meter to rank the goofy "debate" staged Thursday on Fox Business News' "Media Matters for America" featuring an actor impersonating President Obama. The gimmick, more cheesy than clever, pitted former New Mexico Gov. Gary Johnson against the "President" (actor Reggie Brown, who does a pretty good impression) on the stimulus and other issues. While host John Stossel noted that Brown largely parroted words previously uttered by the President, it's not a debate when you don't get to answer back – especially with the in-house audience, as The Hollywood Reporter pointed out, hooting throughout. Stossel’s stunt isn’t the end of the world, and neither, thankfully, is the new mock Time magazine cover proclaiming the impending apocalypse – “World Stands on the Brink” – complete with an image of Wall Street reduced to rubble. The cover is featured on a poster that can be found in GameShop stores as a promotion for a new video game. It marks the first time the 88-year-old news magazine has authorized the iconic cover’s use in hawking a product, The New York Times reports. The paper also notes Time executives see the campaign as a way to appeal to young men – which is perhaps an even sadder statement than the dubious use of the Time brand. Far more disturbing – and in a whole other league of heinous – is a recently revealed media hoax with potentially serious, long-term consequences. A popular blogger who posted as "A Gay Girl in Damascus," was unmasked as a heterosexual man from Georgia, USA. The blog, part of the Arab Spring uprisings that have employed the Internet as a tool of democracy, told of government abuses through the eyes of a Syrian-American lesbian. The blogger’s supposed kidnapping by Syrian government agents last week reportedly spurred a U.S. State Department investigation. The real author contends he employed the fake persona to bring attention to human rights abuses. But now, true stories of horror, particularly those reported through social media, have a greater risk of being dismissed as fiction, as mere propaganda. There presumably are more than enough compelling, actual accounts not requiring a fictional filter – a device that ultimately sows new seeds of distrust on all ends. That’s clearly an extreme example, especially when compared to the Fox and Time seemingly harmless attention-grabbers. But even those reflect a larger general erosion of trust a time when images and information are flying at us faster and from more sources than ever. With more ways to get messages out – and greater competition to be heard – literal truth threatens becomes a casualty. 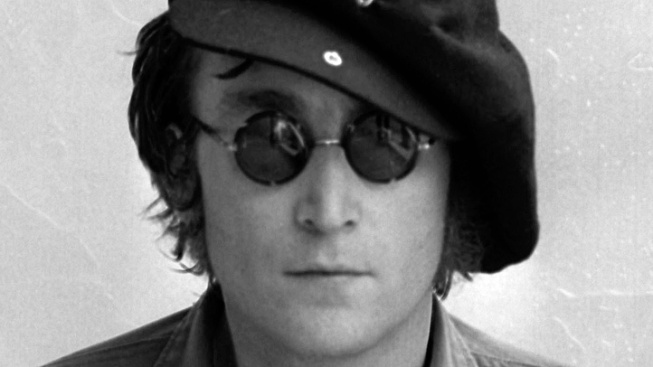 Forty years after Lennon stepped into the studio to record “Imagine,” and “Gimme Some Truth,” the sentiments of both ring louder than ever. Even if the times and circumstances have changed, the songs remain the same.